Ski in French Alps in December! 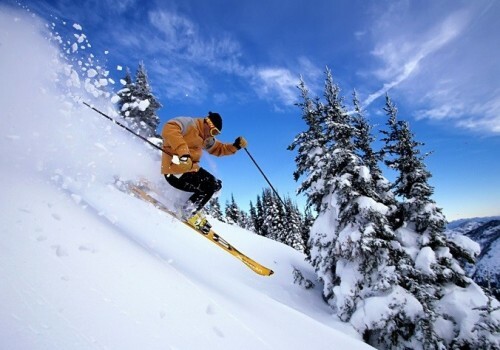 1 week in 3* hotel and 6 day ski pass for only €99! Here’s another amazing offer for all readers of Rushflights. Winter is slowly approaching so we have occassionaly also some skiing holidays for you next to our regular updates about cheap flights. Right now you can book 1 week ski holiday in Chamrousse in France including accommodation 1 week of accommodation in 3 star hotel and 6 day ski pass for only €99! Travel dates are 7.12. – 14.12., other dates are also possible for higher price. Accommodation is provided in Hotel Le Domaine de l´Arselle with swimming pool and just 50 meters from the ski lift. Apartments are available for 4, 6, 8 or 10 people. The prices are shown in British Pounds but you can easily switch to your currency and language with menu in the top right corner. Book fast while this lasts, there are just few more rooms left! « Cheap flights to party destination Goa, India: only €265!